This bread is SO easy to make- just follow the tips I provide and you will have a loaf of homemade bread in no time! -the oil for p3 is minimal. You don't need to count it per serving. -when mixing the dough, put the ingredients in the bowl in order. You want to prevent the yeast from mixing directly with the vinegar. - if you want to freeze this bread, let it cool, slice. Then lay slices on baking sheet, not touching, and freeze 2 hours. Then you can put the slices in a zip bag and they wont stick together. - use only egg whites, no yolks! Put everything in the bowl in the order listed. Mix for 5-8 with the paddle attachment if using a stand mixer. Scrape down the sides of the bowl if you need. Batter should be thick and smooth but too thick to pour. If you need to add water or flour to get to this, add it 1 T at a time. Spread batter in loaf pan. Put pan in the oven and turn off the oven. Let it rise for 30-45 minutes, or until the batter reaches the top of the pan or just over. Remove pan, and heat oven again to 350 degrees. Bake bread for 35-40 minutes, until it looks firm and lightly brown on top. Let cool, remove from pan, slice when completely cool. 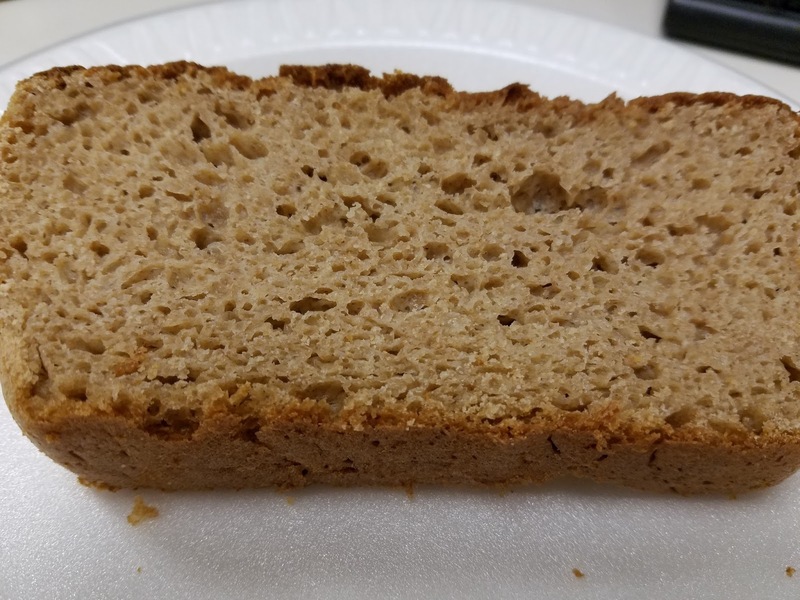 Can you sprout wheat and make your own sprouted wheat flour? Where do you buy sprouted wheat flour? Thanks! While you CAN buy wheat berries and sprout them, dry them, grind them, they are not easy to find and it is labor intensive. I buy my sprouted wheat flour at Sprouts, or www.vitacost.com and there are other sites and stores that carry it. I store wheat as part of my food storage and have a wheat grinder and dehydrator. So sprouting wheat is not a huge deal. You can find directions on the internet. I do it in larger batches. (Make sure you have screens for the dehydrator so the wheat berries don’t fall through). After drying the sprouted wheat, I grind in my wheat grinder, then freeze to keep it fresh. This is a lot less expensive and better quality then buying the flour in the store, but if you don’t already have these appliances, it would not be worth going out and buying them just for that. That is my 2 cents worth! I'm really not sure. I've never used a bread machine. Thanks Carolyn, my silicon pan was smaller. I'll try the instant read thermometer next time. Is your "loaf" pan more like a cake pan, then? 9 x 15 sounds like a cake pan. 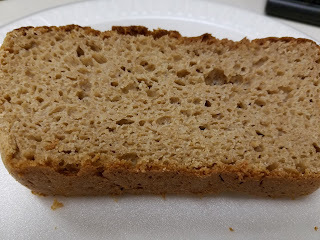 I used Haylie's recipe for my sprouted grain bread, but I had to modify it slightly because it calls for too much water. It kept being very soggy inside, until I found your blog and took it out of the pan after 20 minutes' cooking. Yesterday's loaf was near perfect, I came back here and realized I still kept it in the pan too long. Thanks for sharing the tip!!! How long does this stay good for and do I keep it in the fridge or is it ok to leave out? What kind of yeast for this? The yeast you can get in the baking aisle. I don’t have a paddle mixer. How long do I mix if mixing by hand? What would be the measurement for Active yeast, that is not in packets, but bulk?